This was a small stone medieval chapel on the west bank of the Trent. The village of West Burton, including the church, lay to the south-east of what is now West Burton power station. 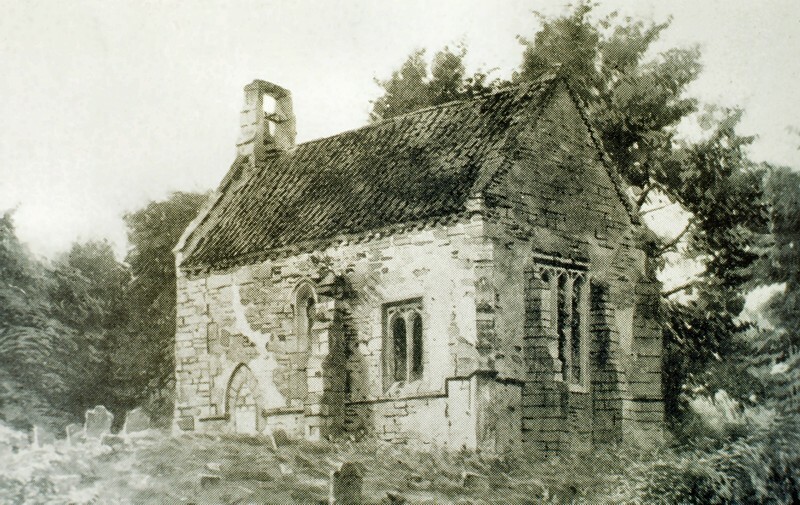 By the mid-nineteenth century the village was deserted; it has been suggested that this was “a case of enclosure, followed by rack-renting and depopulation, and then conversion to pasture.” The old church, now disused, was given to the Canons of Radford or Worksop Priory. It contained a nave and chancel with one bell in the west turret, although there had been two in 1764. In 1843 Sir Stephen Glynne visited the church and commented that it contained little that was attractive in architectural terms. He commented that it had one space which had been re-built in ‘wretched style’. It was constructed of course rubble-stone walls with a steep pitched tiled roof. In 1886 the church was demolished. The bench ends were removed to North Wheatley and the Norman font to Sturton le Steeple. The site of the church and village is still accessible along marked public bridleways. The substantial earthen mounds and sunken roads are typical of a deserted medieval village, but in this case we are looking at a Victorian desertion. The graveyard, with a handful of headstones, survives. The site is a Scheduled Ancient Monument [No.29915].